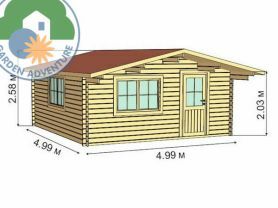 The veranda is 1400mm (4′ 7″) deep and 5000mm (16′ 5″) wide to match the width of your cabin. 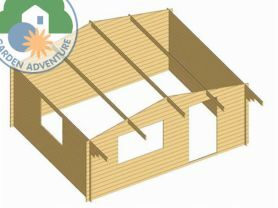 Q - Can your log cabins be shipped to the Republic of Ireland? Q - is there an option to get double glazing with the luton Cabin? 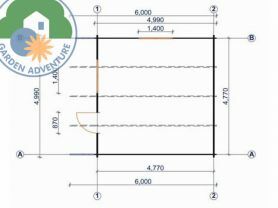 Q - What are the INTERNAL dimensions of the Luton 5x5 log cabin, please? Q - what are delivery timescales like at the moment for this one ? if i add the shingles pack at the bottom, is that enough to cover the entire cabin ?